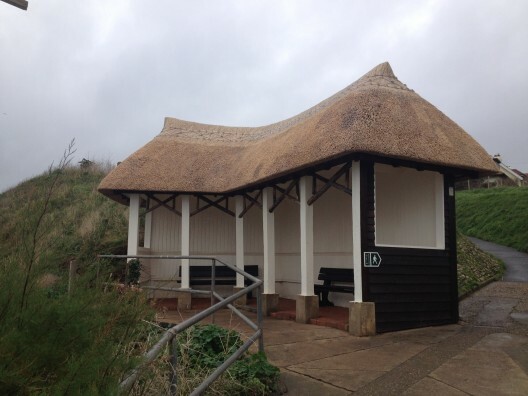 Destroyed by arsonists – Seaton shelter is rebuilt and rethatched. 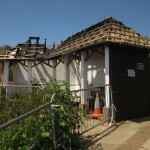 Following the arson attack in March of this year, the cliff-top shelter in Seaton, East Devon has been totally restored. 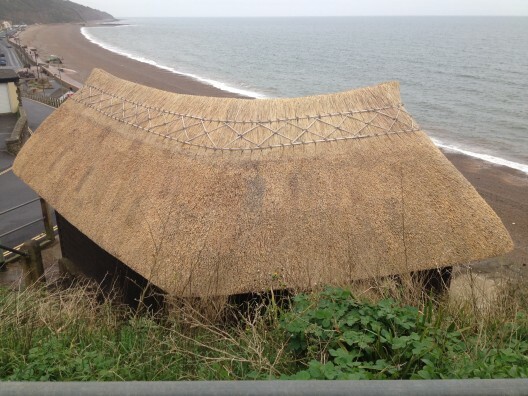 Seaton's thatched shelter - fire damaged. 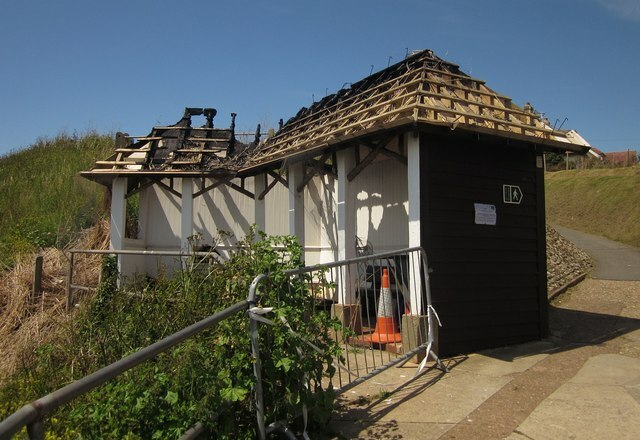 Thatching Advisory Services advised East Devon District Council with regard to the provision of Fire Barriers as part of the reconstruction of the shelter. 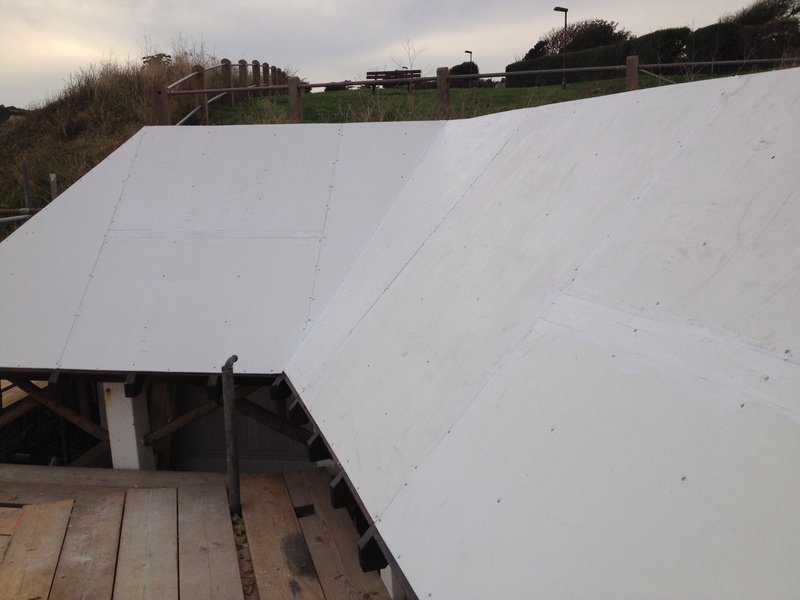 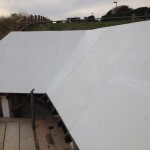 Prior to the new thatch going on, the top and underside of the roof timbers were clad with TAS100 Thatch Fireboard and Thatchbatts® were placed between each of the timbers. Once the rebuilding and fire prevention works were completed, the shelter was completely re-thatched by local Master Thatcher, Philip White.